Do you remember when you built your first pier and crafted your first fishing rod? Did you find it lame that there was only ONE fish that you could catch? 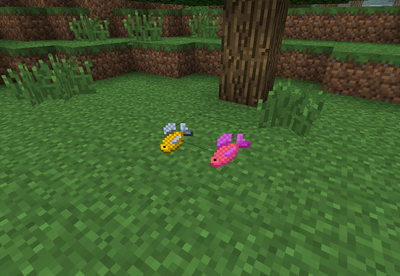 With fishing++, you can now catch new fish, craft new rods, and generally enjoy fishing a little bit more. 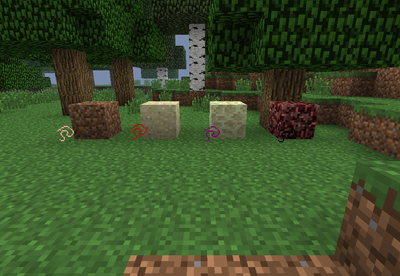 And now the mod! 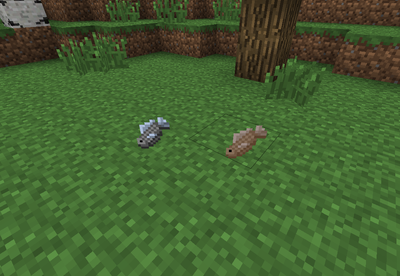 Now that you've gotten yourself started with this fishing stuff, you want to be able to explore the world and dig to the depths of the earth, but you don't want to stop gathering fish! 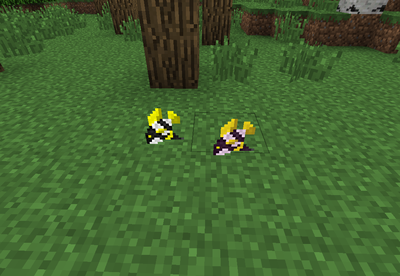 Now you can go and do other things while gaining fish! 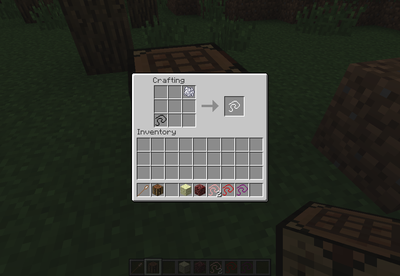 Introducing the Automatic Fishing Module, this handy device will gather fish for you, and even put it into an adjacent chest! Yes, it is rather pricey, but you are a fisherman! You have patience enough to gather the iron you need, it has to be sturdy to support the vast hoards of fish that you'll be raking in! Here's a picture of one of these wonderful devices in action! Warning: If you have been sitting for hours watching your device and seeing it do nothing, it may help to put it above water! So, you've fixed your mistake and you've put your device above water, but there's still nothing happening! That's because your new machine requires some kind of power to run, so put a furnace next to it! 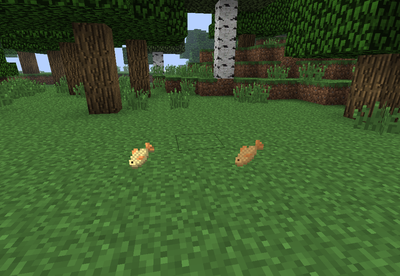 Unfortunately, Minecraft furnaces are fussy, and won't burn unless there is something inside them, so dump some fish into them with some fuel and watch it cook! Once you see clouds of smoke billowing from the top, your new machine is ready to fish! But watch out! You'd better put a chest next to it fast, otherwise the fish have nowhere to go but up! OK, you've made an auto fisher, but who wants to cook all of their fish once they've been caught?! 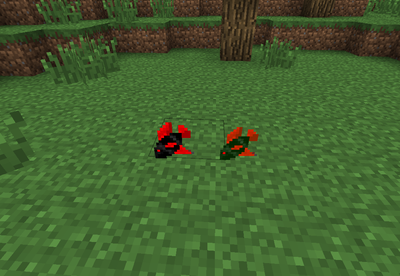 Now, with the fiery automatic fishing device, you can automatically catch fish, and cook them! 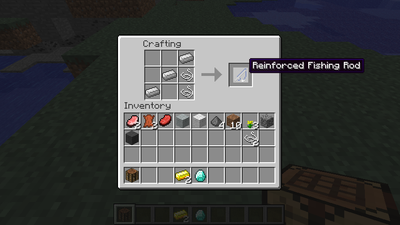 Completed the Auto Fisher Device V1, Next up the fiery device that gives cooked fish! Edit: some pretty hard stuff you could do but, make a fish mob for every one of them maybe? 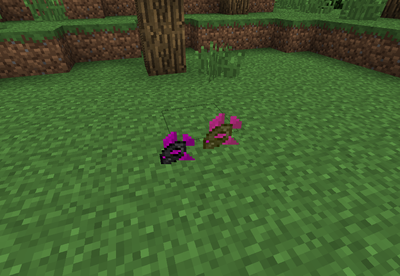 and maybe some more secret treasures you can get from fishing randomly not dependent on the fishing rod. 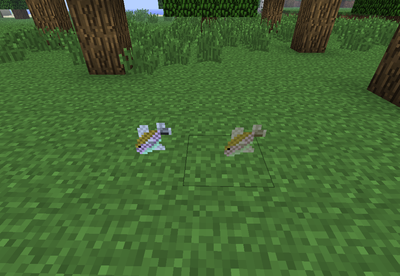 (enchanted swords) maybe even fishing levels. Really? You needed two topics for this? I'm looking at the other thread and it's the exact same... except it's missing the download... and it was posted 30 minutes earlier. You can edit things once they're posted, you know, you don't have to repost. Perhaps you should edit the other thread so people know it's not the right one. Asides from the forum-ing mishaps, looks great! One question: how does the treasure trawler have more than 100% of stuff to get? SHouldn't they all add up to 100? Or does it check them in that order, in which case you're almost guaranteed to get something. How to use bait? 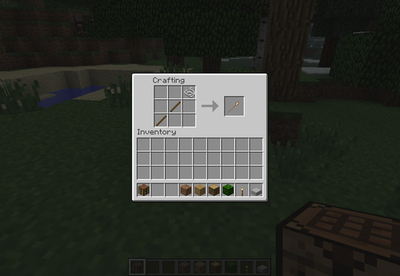 Just have in inventory, like arrows? Ah, great, now I can download it. But yes, I would enjoy --as I stated last time-- catching sharks and swordfish as well. I've been looking for a mod like this for a while. Finally someone made this! Location: Late Cretaceous Riding a T-rex! 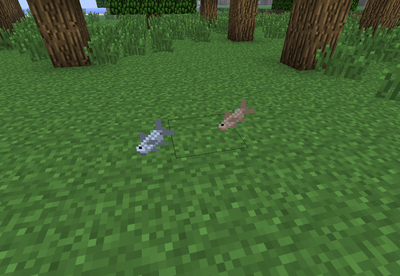 Will the net update contain mobs for all the fish? 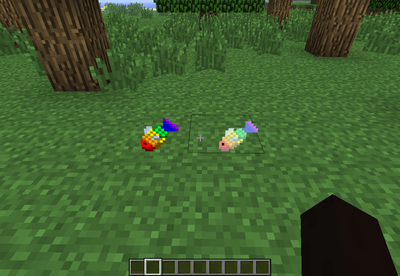 Awesome I've been looking for a mod that improves fishing. 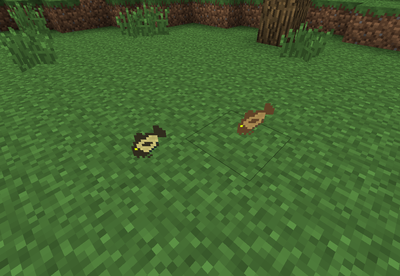 This looks like a pretty cool mod! I will definitely try it out!